When comparing the 2018 Jeep Compass vs 2018 KIA Sportage, both cars are athletic vehicles that are designed to tackle different types of terrain. Each car has a sporty exterior and plenty of power under the hood. If you want to determine which car will suit your needs, it’s important to compare the features between the 2018 Jeep Compass VS the 2018 KIA Sportage and visit us at our dealership as we continue serving Boulder Longmont Fort Collins. The latest model of the Jeep Compass is sleek and edgy with a commanding body that is hard to miss on the road. It has a bit of attitude with 18-inch black aluminum wheels and an all-black roof that is unique and causes it stand out amongst its rivals. Black finishes are used in multiple places on the exterior of the car like the rear fascia and badging, which causes it to have plenty of edge. The design proves to be masculine and appears to be upscale despite its price tag. The exterior of the KIA Sportage is less attractive than the Jeep Compass and has an awkward shape with the design of the body. The car attempts to look futuristic but comes off as less upscale compared to the Compass due to its unique grille and large fog lights. The rear of the vehicle is more sleek and attractive with edgy taillights and a large rear window on the tailgate. The interior of the Jeep Compass is regal and looks luxurious with soft and premium materials used in every direction. All of the seats that are included are spacious and offer plenty of support. The contoured angles of the seats also offer extra comfort and make it easy to relax on long drives. 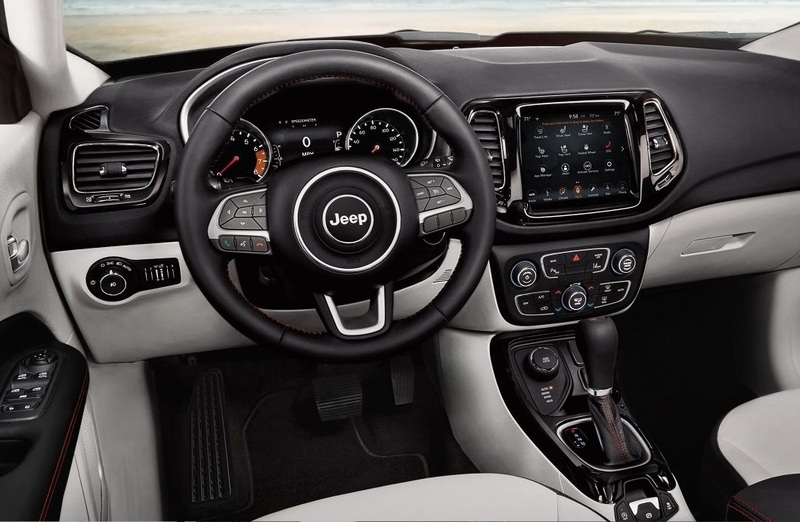 The dashboard has a similar layout of the Renegade, which is simple and doesn’t look overly cluttered. Cloth, vinyl-trimmed, and leather seats are available. Additional features that are included are a heated steering wheel, power-adjustable heated front seats that are adjustable, and a significant amount of legroom. Features that are standard in the car include navigation, a seven- or eight-inch infotainment touchscreen, Bluetooth, two USB ports, six speakers, Android Auto, Apple CarPlay, HD radio, and satellite radio. The interior of the 2018 KIA Sportage looks upscale and resembles a luxury vehicle with the materials that are used. Unfortunately, the cargo area is small compared to the Jeep Compass, which may limit the number of items that you transport while on the go. The dashboard has an upmarket look that tilts towards the driver, making it easy to adjust the settings without reaching too far out while driving. The Jeep Compass is built with off-road capability but still offers a smooth ride due to its above-average suspension. With a 2.4-liter four-cylinder engine, the car has 180-horsepower with excellent fuel efficiency of 23 mpg in the city and 32 mpg on the highway. 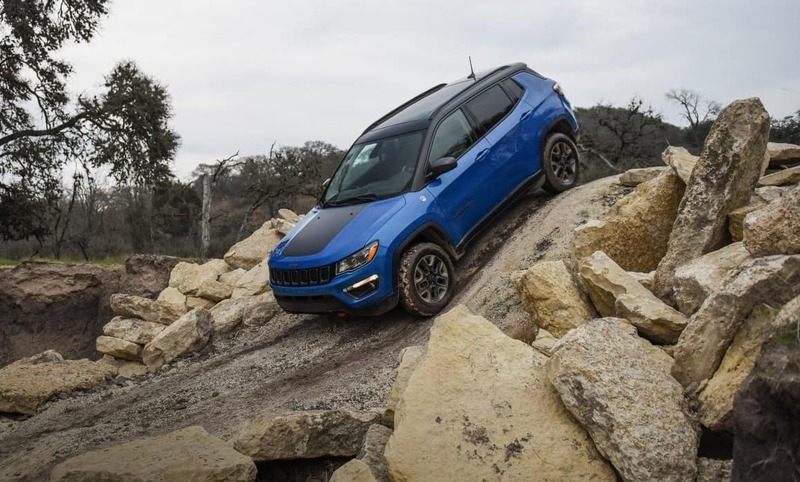 Jeep proves to have increased the way that the car drives with handling that allows you to feel in complete control of the car when taking it on winding roads or steep inclines. It has carlike steering and also enough chassis stiffness to handle curves with ease. The KIA Sportage offers a cushioned ride but has engine options that are underwhelming compared to what’s available with the Jeep Compass. The base 2.4-liter engine is smooth but doesn’t have a lot of surplus power that’s available when you need to pass cars. You won’t get much punch with the vehicle, which makes it more ideal for driving around town rather than taking it on an adventure or driving it on highways. Fortunately, it’s built with a well-mannered transmission even if it’s not quick. Drivers in Boulder Colorado who purchase the Jeep Compass appreciate the vehicle’s ability to tackle different types of terrain with ease. The interior is comfortable with a long list of features that are included make it feel more like an upscale car. The seats that contour to the body also make it easy to relax and feel like the seats are created to fit like a glove. The vehicle easily maneuvers and has plenty of acceleration, making it easy to merge onto highways. The excellent gas mileage is an additional perk of owning the SUV. Consumers who purchased the Kia Sportage in Boulder Colorado claim that the car looks good on paper, but many negative aspects affect its overall appeal and quality. Fortunately, the infotainment system is user-friendly and advanced, but a lack of standard features are offered. The ride quality is where the vehicle falls short with average steering and a poor suspension system. The ride is less smooth in the Sportage VS the Compass, which can make it less enjoyable to take out when you’re ready to explore the great outdoors. Drivers assume that Kia cut corners in areas that were necessary for an SUV that is designed to spend time on different types of terrain. 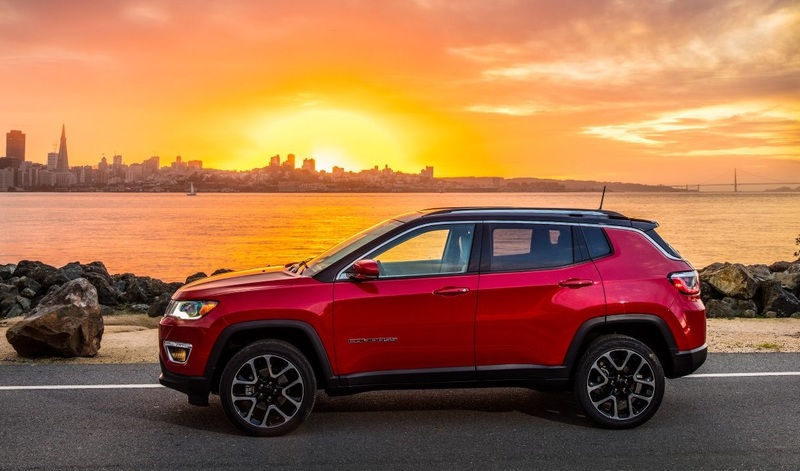 If you want to learn more about how the 2018 Jeep Compass compares to the 2018 KIA Sportage, contact us today at our Pollard Jeep dealership in Boulder, CO, serving Boulder Longmont Fort Collins. 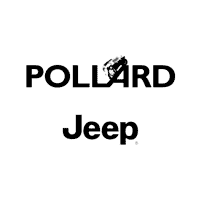 You can also test drive the vehicle and learn about financing options that are available at Pollard Jeep.